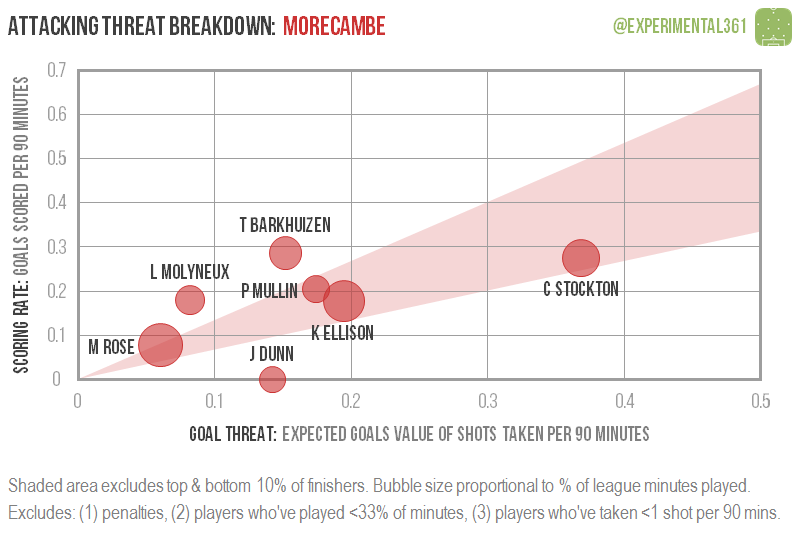 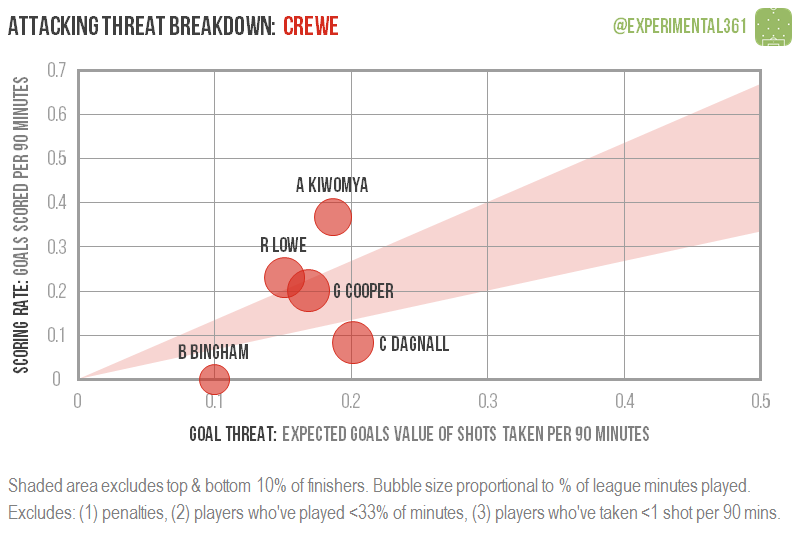 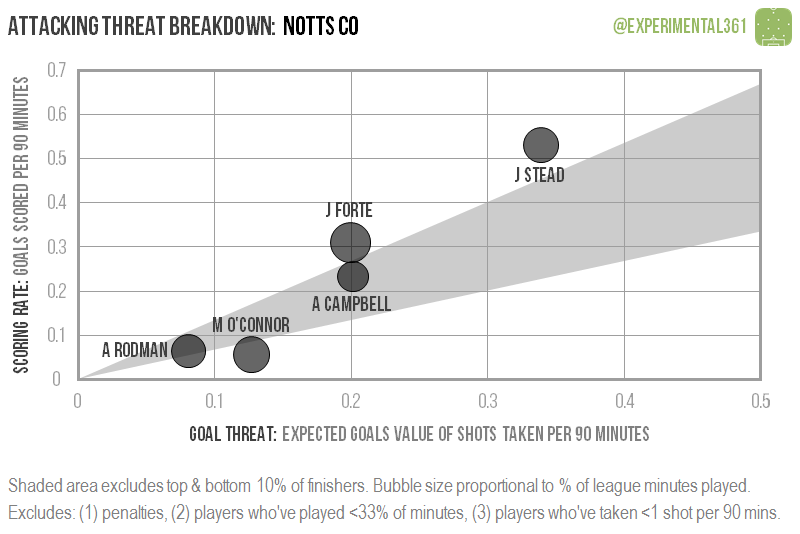 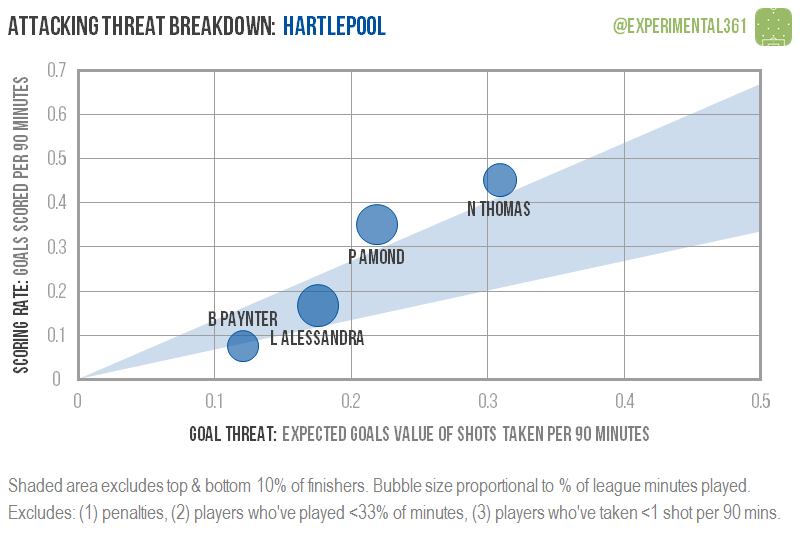 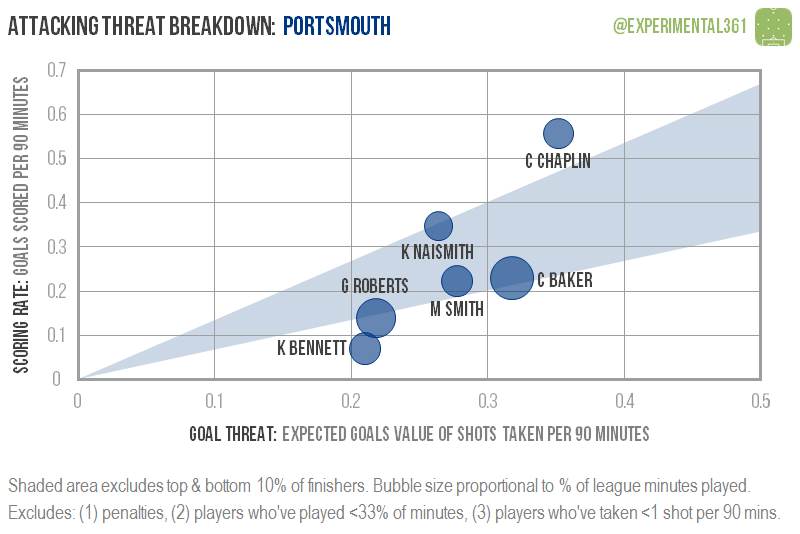 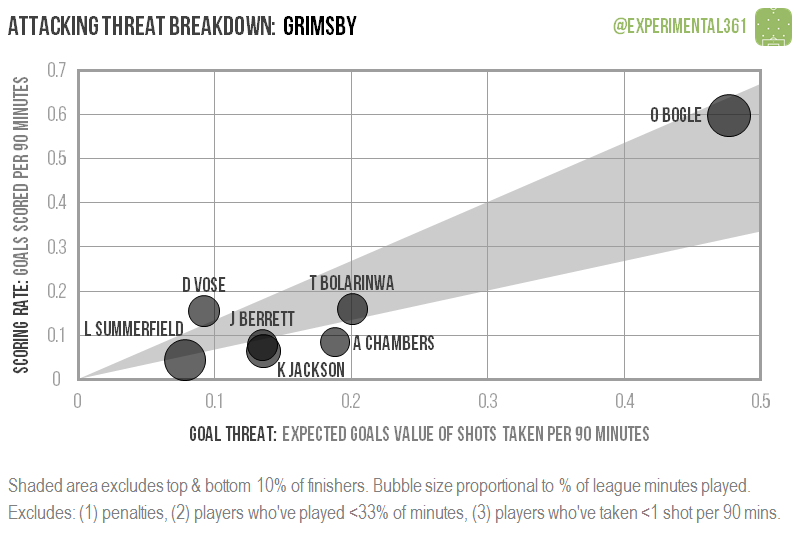 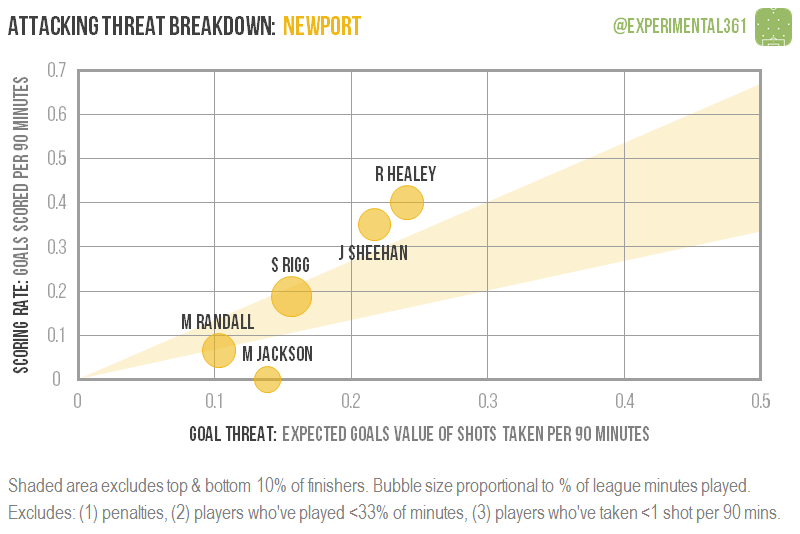 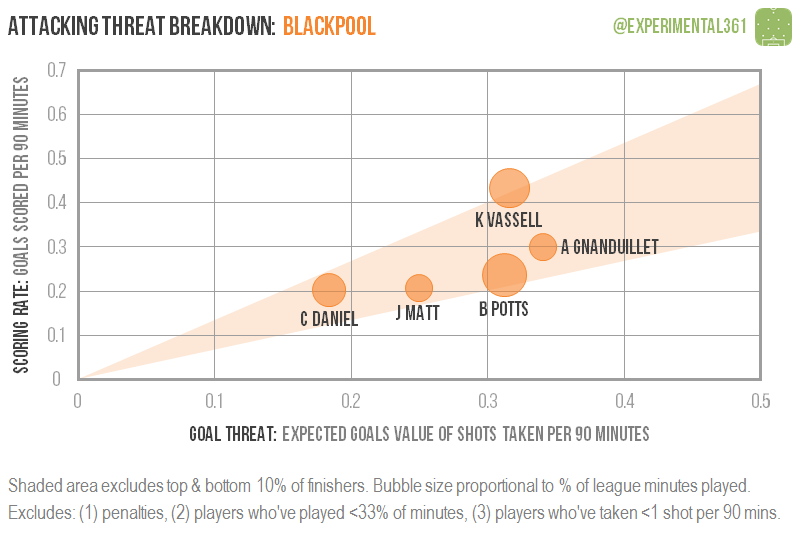 Grimsby‘s graphic stands out due to the sheer extent of their reliance on Omar Bogle – if they lose him this month then someone else will have some pretty big shoes to fill. 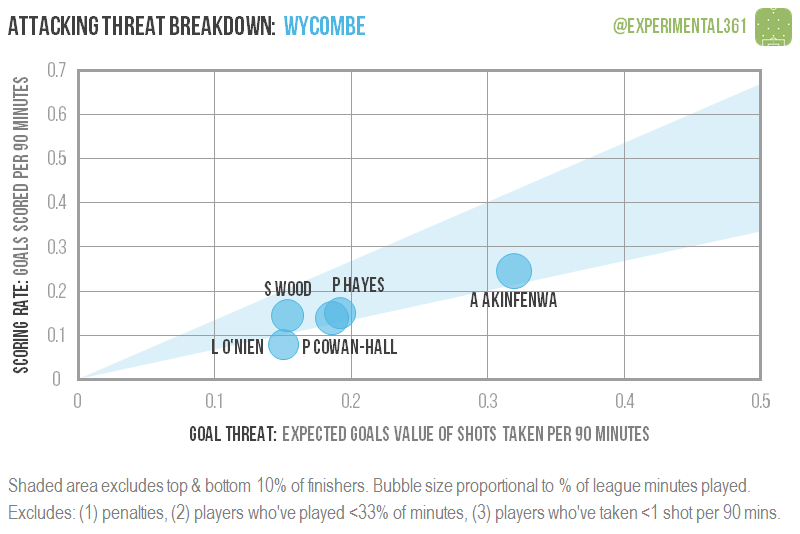 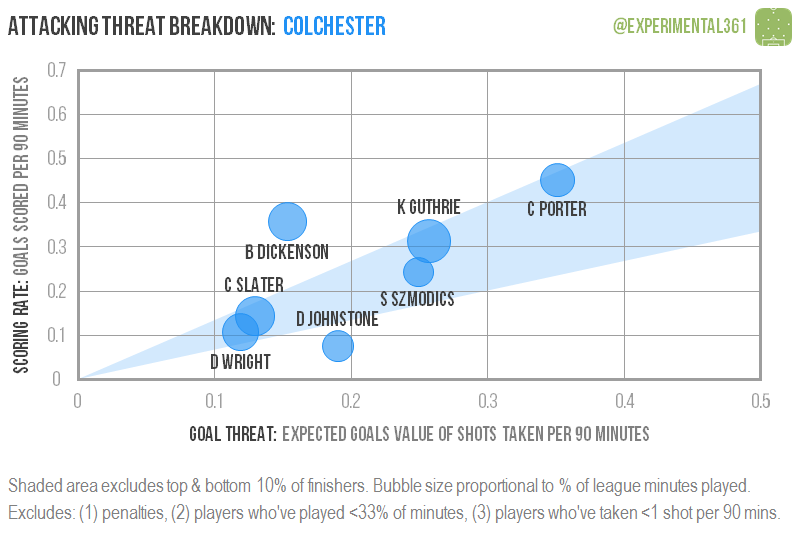 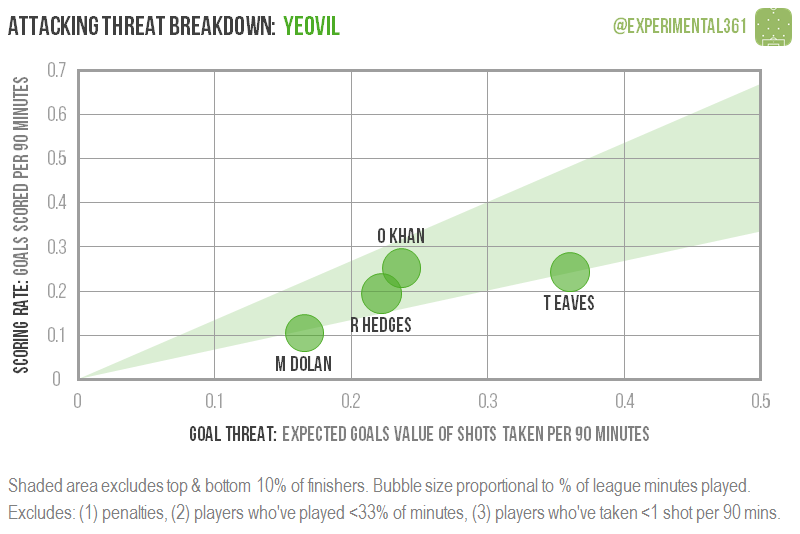 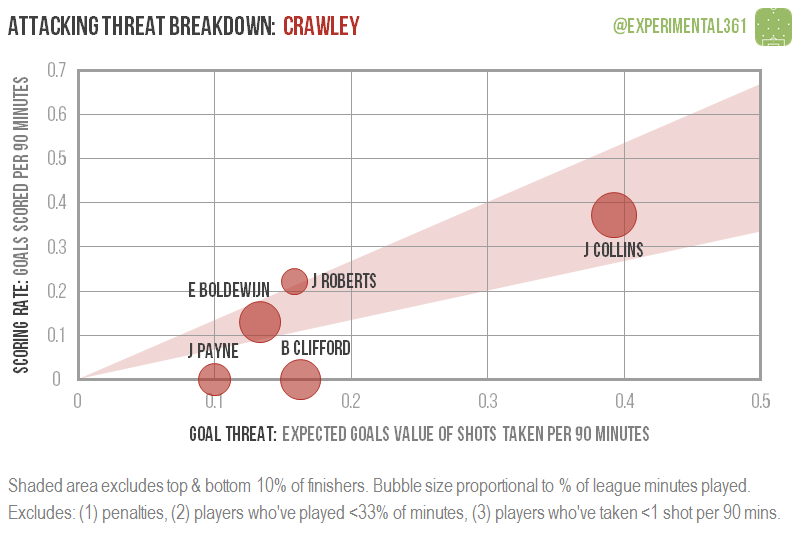 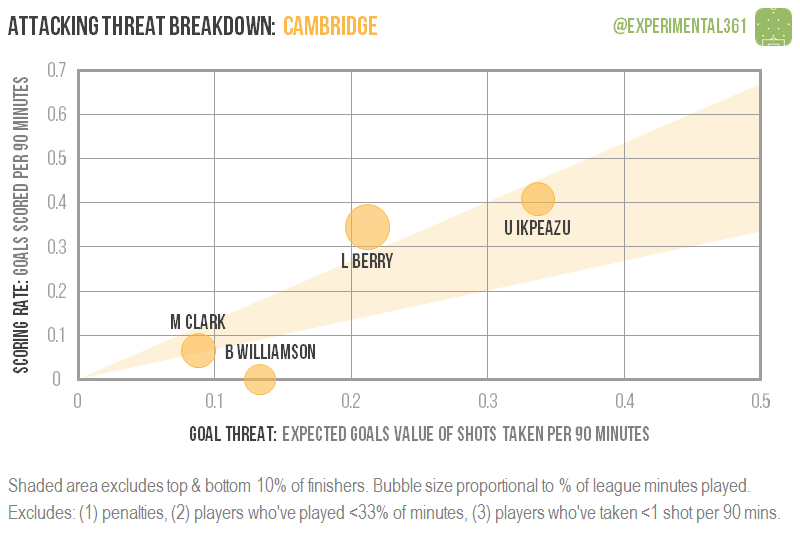 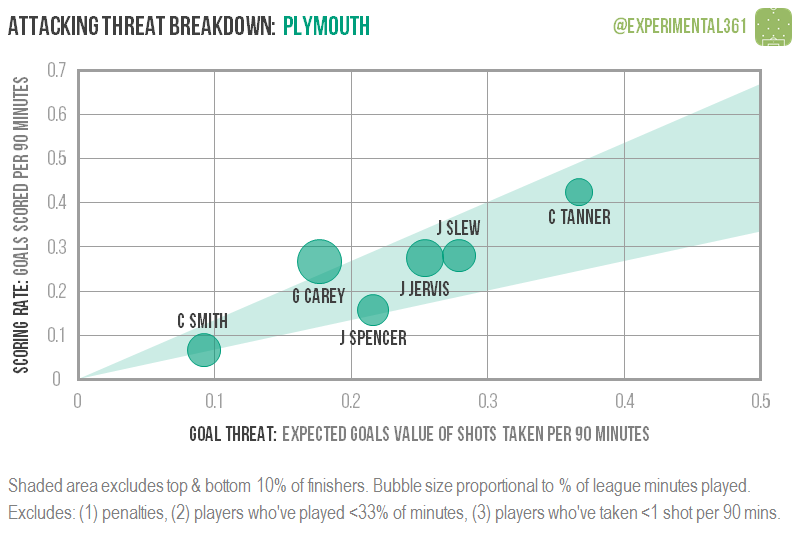 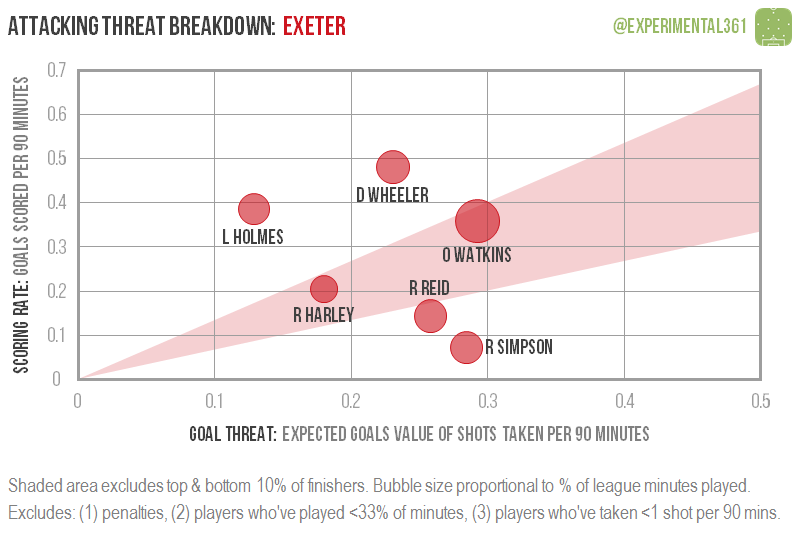 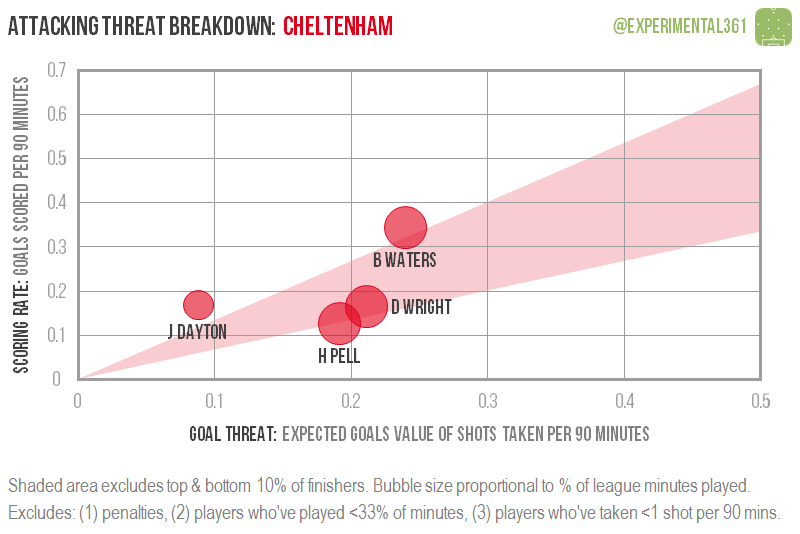 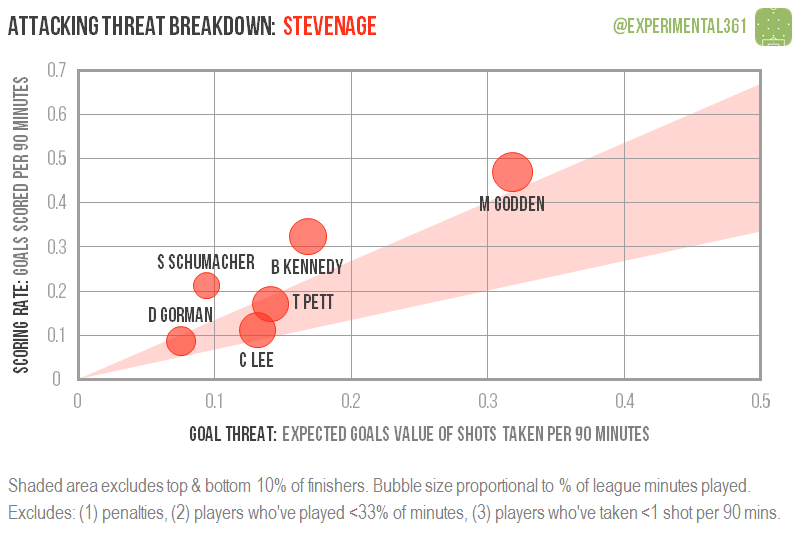 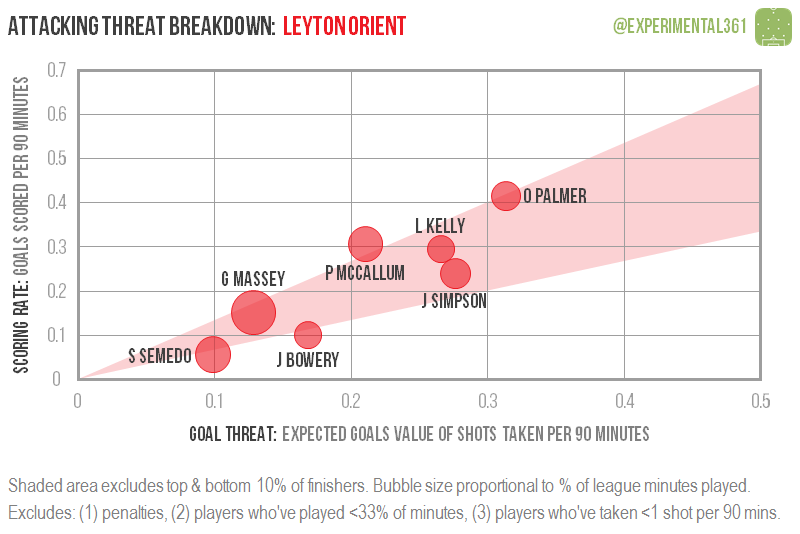 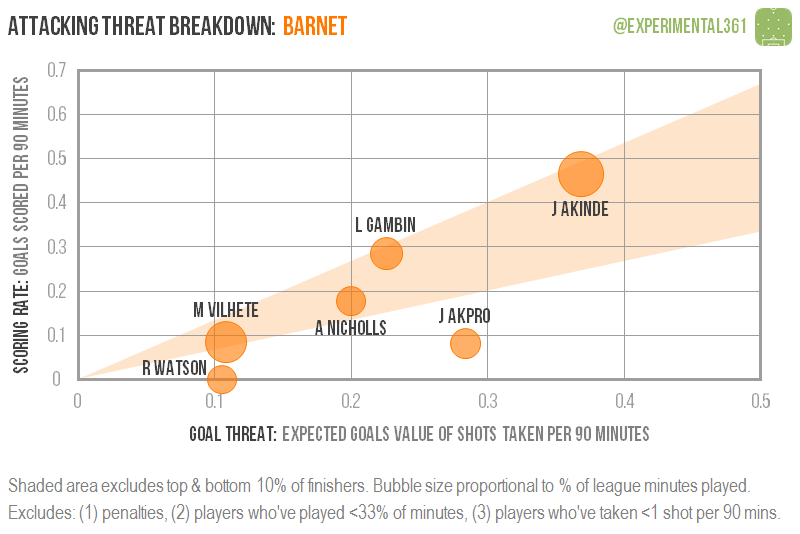 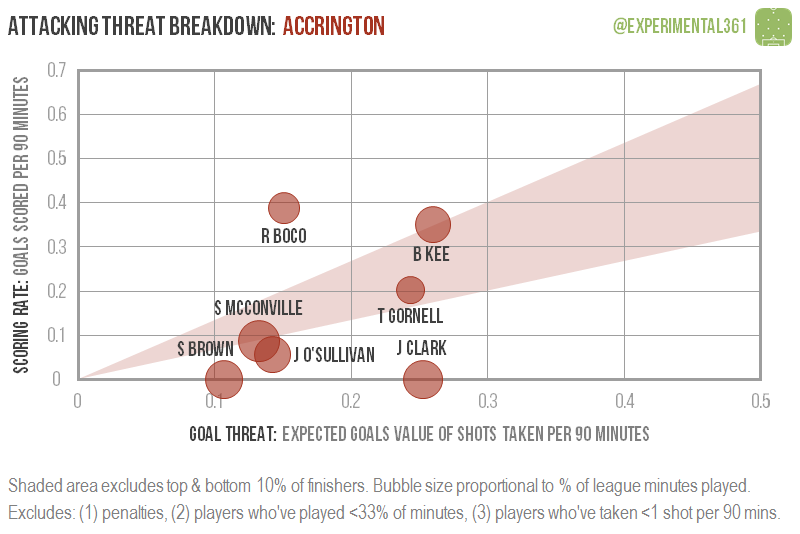 Crawley look to be similarly dependent on James Collins but there are a few other sides who appear set up to serve a single goalscorer. 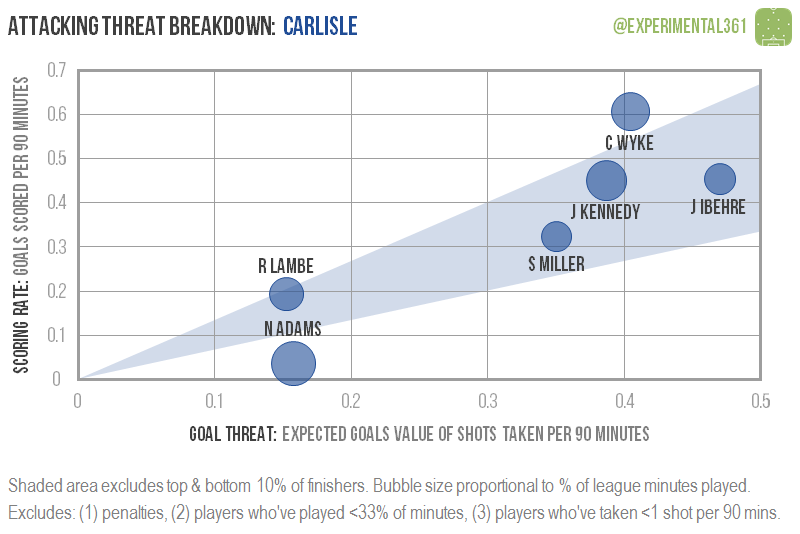 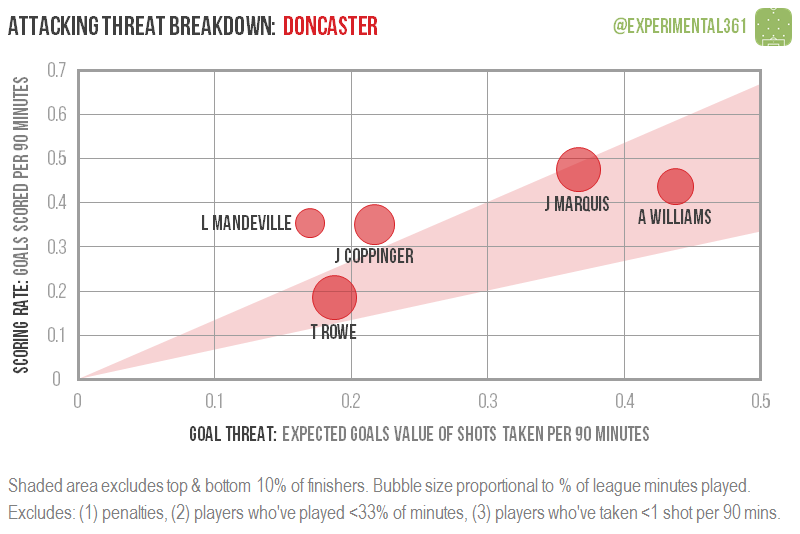 Meanwhile Carlisle have an embarrassment of riches, with four players all getting plenty of chances and converting them at a respectable rate. 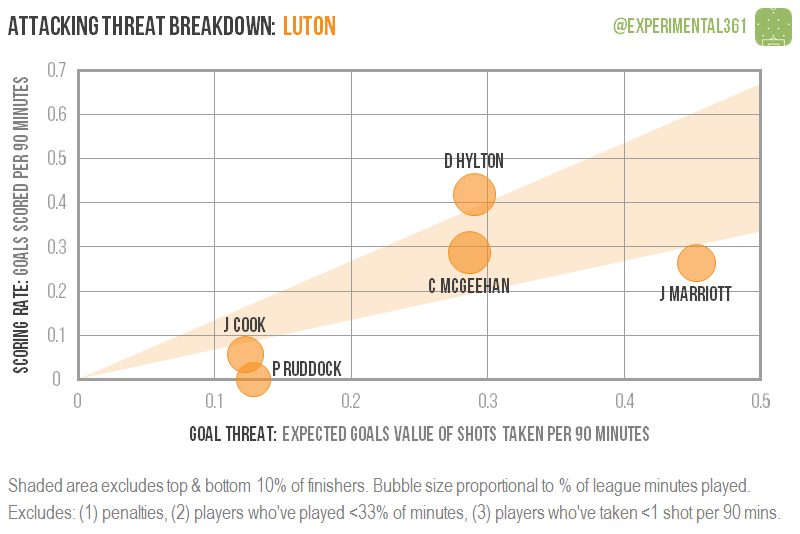 A player who interests me is Luton‘s Jack Marriott: few strikers are getting as many chances but he’s been struggling to make them count. 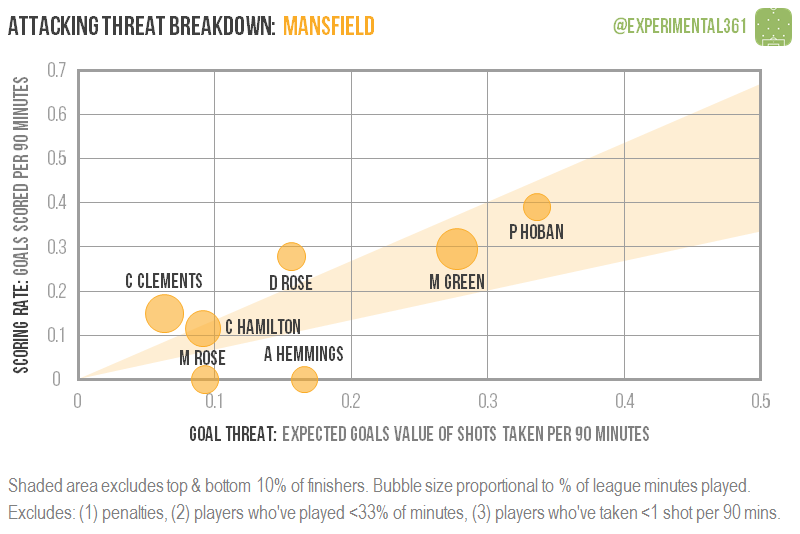 Unless he’s a genuinely bad finisher – which you think a coach would have noticed by now – his scoring rate could well improve over the rest of the season.